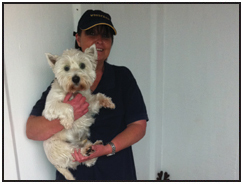 Facilities - Woodfarm Kennels and Cattery are based in Sedgley (near to Wolverhampton, Stourbridge, Walsall and Dudley), providing high quality boarding accommodation for your pets (Cats & Dogs) whilst you are enjoying your holidays. For more information about your cats and dogs holiday home and the individual standards please visit the Kennels and Cattery sections. We also understand that both the elderly and very young that stay with us need a little extra time and care; this is where attention to details counts. We are always mindful of their needs.